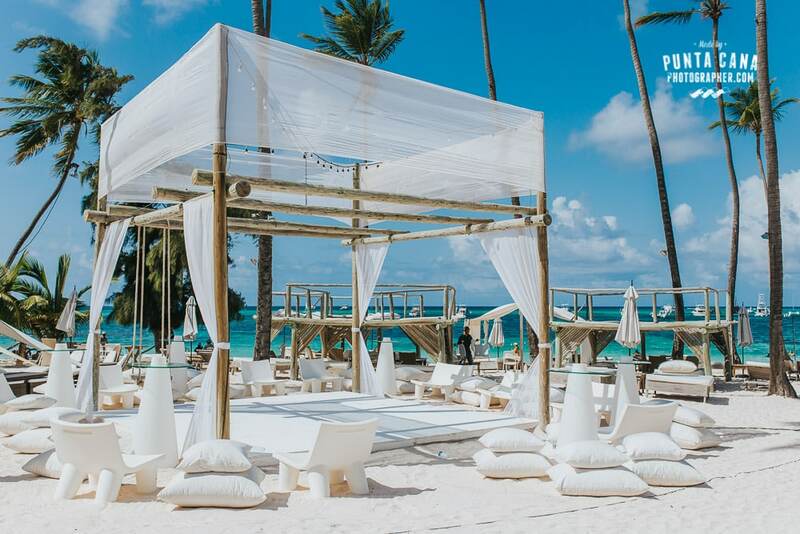 Jellyfish Restaurant is without a doubt in our list of the best spots Bavaro/Punta Cana has where you can have your wedding. 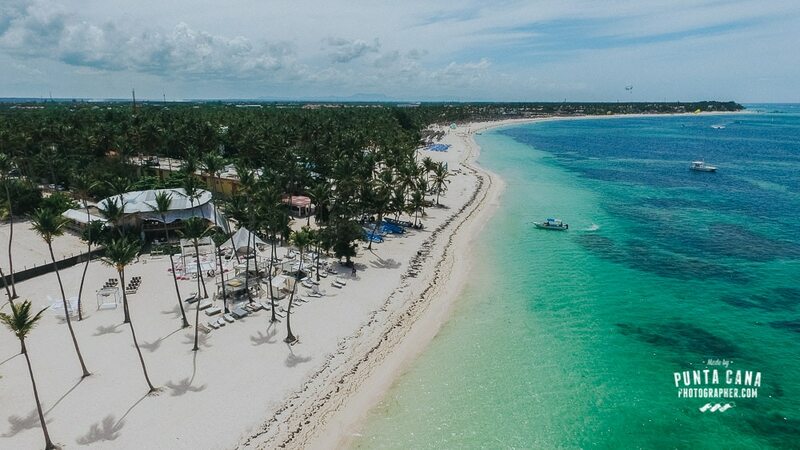 It’s not a hotel or a huge complex, but more a gorgeous restaurant right by the sea, between IFA Villas Bavaro Resort and SPA and the hotel Melia Caribe Tropical, which is located in the same place as the Paradisus Palma Real. Although the road to access Jellyfish has improved a lot in the past few years, it still remains to be the only negative aspect of the whole experience in the restaurant. It’s a dirt road with potholes, but this journey is completely worth it once you arrive at the restaurant and you find this incredible little slice of heaven, with a private and well kept beach that belongs to Jellyfish. The restaurant has many positive aspects, and just a couple negative ones, so we are going to talk about both to give you all the information you need to know. Great service, even better food! First and above all, we need to talk about the food served at Jellyfish. This venue initially was a restaurant that slowly started to organize weddings, and it has grown so fast that today has a lot of brides saying their I do’s on the property. The food deserves its own category since it is the best quality, always fresh and perfectly cooked. Their specialties are lobster and the filet mignon, but none of their dishes will disappoint you. Comparing it with the resort’s food, Jellyfish Restaurant beats them by far. Resorts have good food, but not spectacular, since they have to feed plenty of people every day. 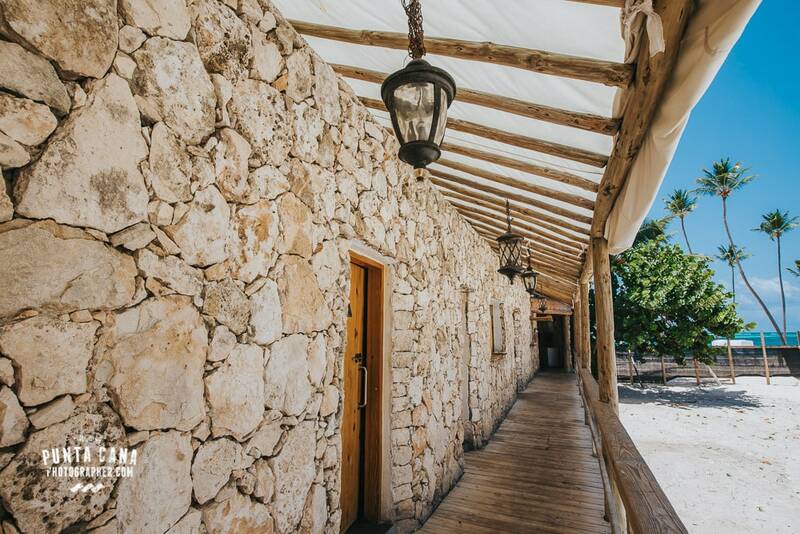 To continue with the review of the restaurant, the installations are well made, with wood, stone, rope and lots of palm trees that decorate the area. All the elements used are natural and with different tones of color, for which they are excellent to take pictures around the area. Any photographer would be thrilled to have a wedding in a place like Jellyfish. The design of the restaurant has a unique shape and it is easily recognizable in the pictures that you can find online. The decoration of the weddings is up to the standards of the place, and it doesn’t let anybody down since the wedding planner makes great choices with the suppliers, and we can appreciate that in every event that we participate in. 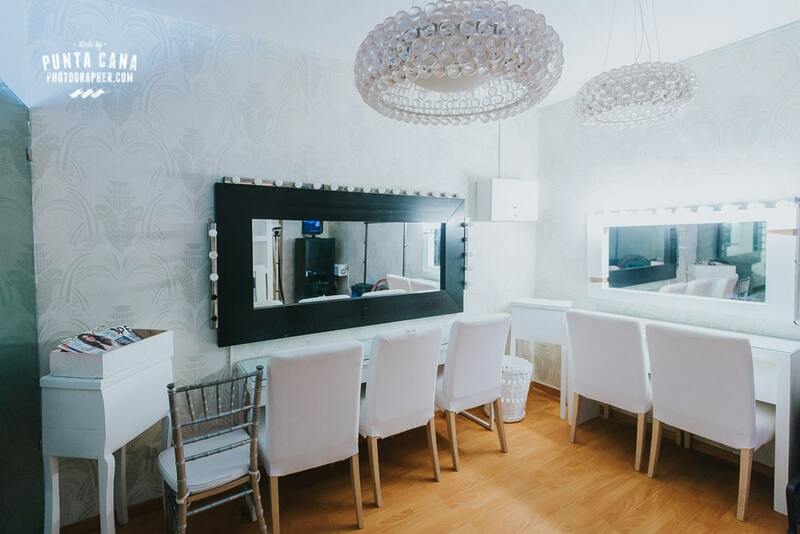 In terms of organization, Jellyfish has a bridal room, specially designed for the bride’s getting ready. With mirror-covered walls, beautiful lighting and furniture with different tones of white, the room is just fantastic to take photographs and portraits of the bride before the ceremony begins. We have seen more than 6 women getting ready at once in that bridal suite, so there shouldn’t be any problems with having a large group of bridesmaids. Air conditioning is definitely a plus considering the hot weather outside! After getting ready it’s time for the ceremony, and we would like to point out that the advantage Jellyfish has is that it is a private space, so there shouldn’t be people snooping or taking photos of the couple from a short distance. Between the negative aspects, we have to tell you that the beach itself is open to the local public, so some days like Saturdays or Sundays can get a little busy from people walking on the shore. Luckily for us, the gazebo is strategically well located and at a good distance from there. 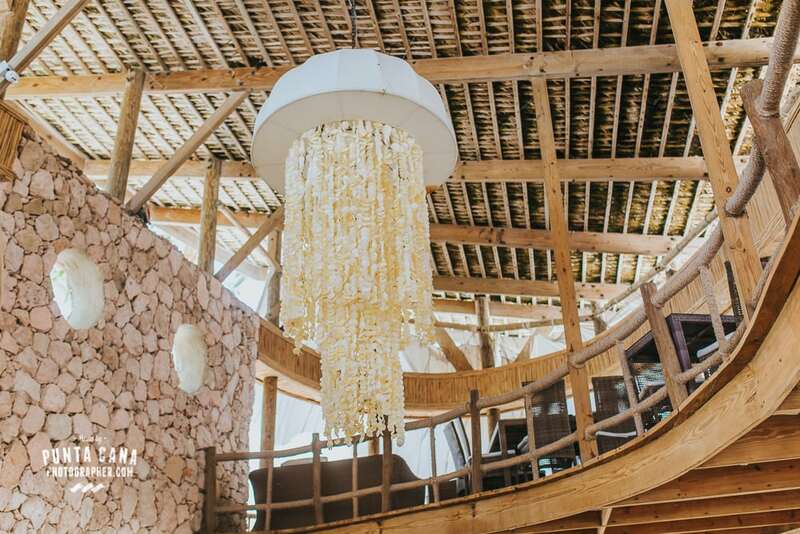 The ceremonies at Jellyfish are beyond special, besides the decoration and the general feel of the place, guests will only see one bride and not more, unlike the resorts where you can see up to 3 or 4 walking around the hallways while they have their pictures taken. The transportation from the resort to Jellyfish Restaurant is organized by your wedding planner, so you shouldn’t worry at all. It is a safe, reliable and punctual transport. The beach is public, which sometimes means there will be people behind your ceremony. Without a single doubt, we recommend Jellyfish for any bride who is looking for a Venue that takes part and interest in every aspect of her wedding and wants to avoid the circuit of hotels that reminds us all of the wedding factories.